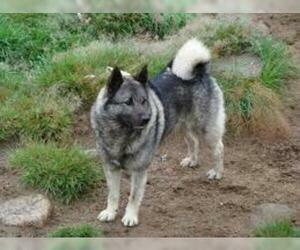 Overview: The Norwegian Elkhound has the courage, agility and stamina to hold big game at a distance and the endurance to track for hours in all types of weather and terrain. They are extremely versatile. Weight (lbs): 44 - 50 lbs. Colors: Gray with black tipped hairs. 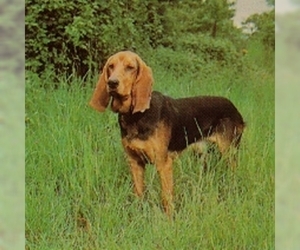 The muzzle, ears and tail tip are black. Coat: Dense, smooth lying, weather resistant, outer-coat is coarse and straight with an under-coat that is soft and wooly. Shedding is year-round. 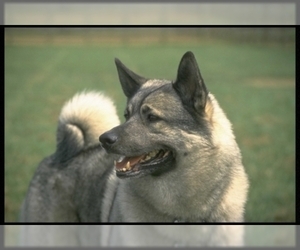 Character: The Norwegian Elkhound is straightforward, equable, friendly and gentle characters. 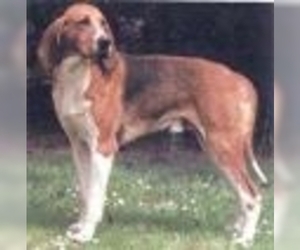 They make a great family pet and home guardian as they are very loyal and protective. 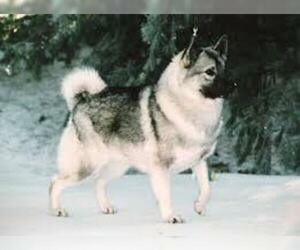 The Norwegian Elkhound puppies are born black but turn gray in about a week as their fur develops. 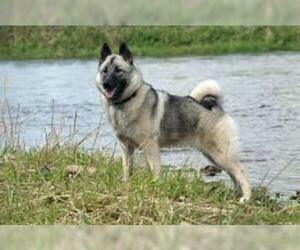 Care: Its double coat needs brushing twice a week and daily during main shedding season when it sheds a lot. 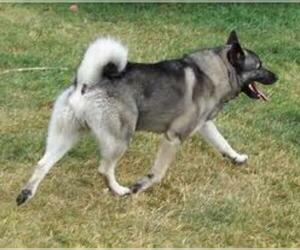 Activity: The Norwegian Elkhound should be exercised at least one hour per day which can consist of a run or free play. 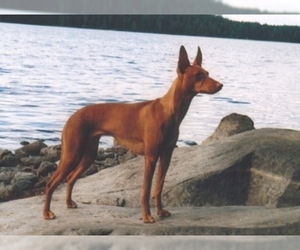 Health Issue: Hot spots and shedding problems. 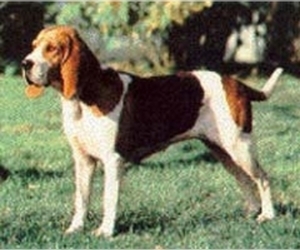 Susceptible to subcutaneous cysts and tumors. Possibility to progressive retinal atrophy, lens luxation glaucoma and congenital kidney disease.